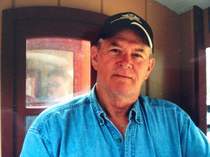 Charles Michael Phipps, 70, of Hymera, IN passed away at his residence Monday, April 11, 2016. He was born in Terre Haute, IN January 12, 1946 the son of Oscar Phipps and Della Mabel Gallagher Phipps. Mike graduated from Hymera High School in 1964, retired from GE in Linton. He was a Vietnam Navy Veteran, a member of the Dugger Masonic Lodge #721, Hymera American Legion Post #298, and the Sullivan VFW Post #2459. He was preceded in death by his parents also a son, Charles Michael Phipps II, two sisters, Katherine Greenlee, and Eva Johnson. Survivors include his wife, Doris Wright Phipps, two sons; David Bough (Mona) of Hymera, IN, Patrick Simpson of Bloomfield, IN, a daughter, Beth Ann Simpson of Riley, IN, four grandchildren; Jacob, William, Blaine and Sam Phipps, two great grandchildren, and several nieces and nephews. Funeral services will be at 11:00AM Thursday, April 14, 2016 at Newkirk’s Funeral Home in Dugger with Pastor Norman Sanders officiating. Visitation will be from 5:00PM until 8:00PM Wednesday with a Masonic service at 7:00PM. Burial in the K of P Cemetery with Military graveside rites by the Sullivan, Shelburn, Hymera Legion Posts and the VFW post.